Amazingly it has been 20 years since Volvo had a five-door hatchback in its range. But with the premium hatchback market - currently dominated by the BMW 1 Series and Audi A3 - continuing to grow, the new V40 comes at the perfect time for Volvo. The Swedish maker aims to offer something different to its German counterparts and believes there's space for a new entrant, despite the impending introduction of an all-new Mercedes-Benz A-Class. 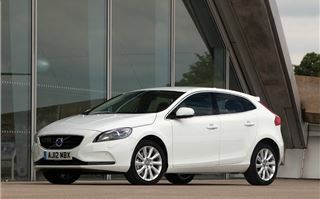 It is hoping that a blend of refinement, efficiency and Scandinavian design will help it stand out from the competition. 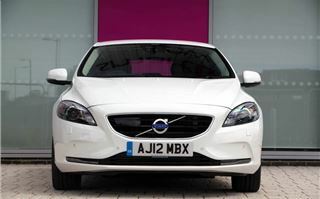 First impressions are certainly good - the V40 is distinctively a Volvo with a similar front end to the S60. 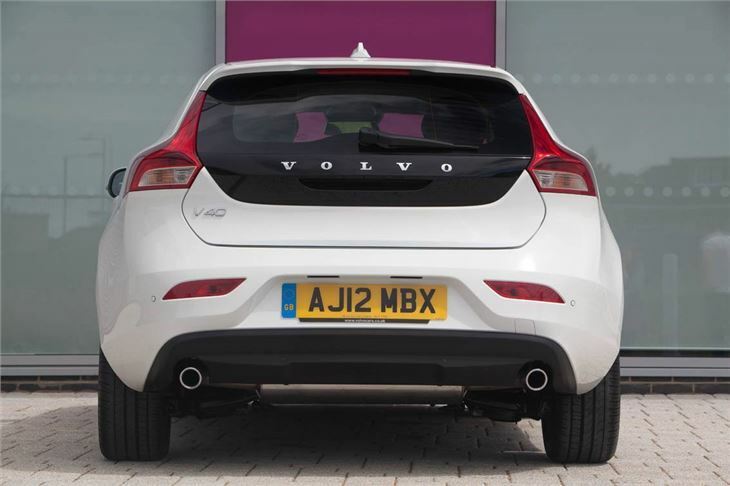 But it's at the back where things get interesting with a neatly styled tailgate that's an evolution of the C30. It's also a nod to Volvo's past with hints of the famous P1800 estate. In our opinion it's more handsome than a 1 Series and more interesting than an A3. 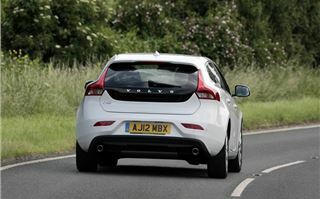 The V40 effectively replaces both the Volvo S40 and V50 so despite the coupe-esque looks it needs to be practical and spacious too. 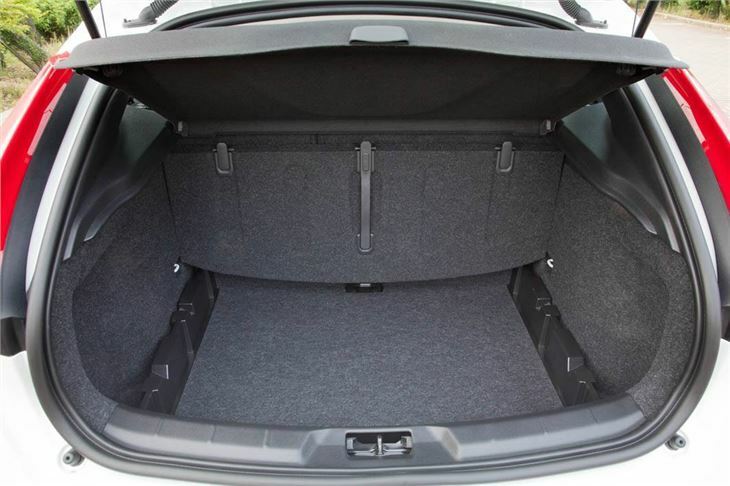 It partly succeeds with plenty of space for the front two passengers, good stowage (including a cooled glovebox as standard) and a decent sized 335-litre boot. 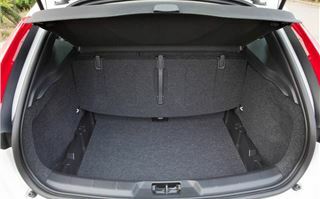 However, while the boot is usefully wide and the rear seats fold flat, its main rivals all offer more luggage space. It's fairly tight for space in the back too and taller passengers will find their head brushing the roof lining. If you have anyone six-foot or plus driving, there's also very little foot or knee room behind them. 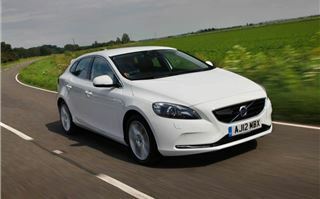 But the V40 redeems itself when it comes to quality. It's a match for any other premium hatch with a top quality interior finish with high class materials. There are no hard or rough plastics here, everything is soft touch with an upmarket look and feel. 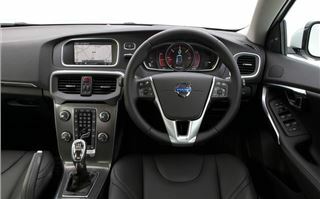 Features such as the floating centre console, thick chrome trim and the 5-inch colour screen that comes as standard, all add to that impression that this is a quality product. There's also a neat transparent gear lever that's illuminated at night. Instead of conventional dials the V40 gets a high-tech TFT instrument cluster. Essentially it's like having a screen rather than dials and it's something you'd usually see on a luxury saloon like a Jaguar XJ. It takes a little getting used to but it's a good system with a large digital speedo so you always know your exact speed. There are even various 'themes' available which change the colour of the display plus what information is on show. 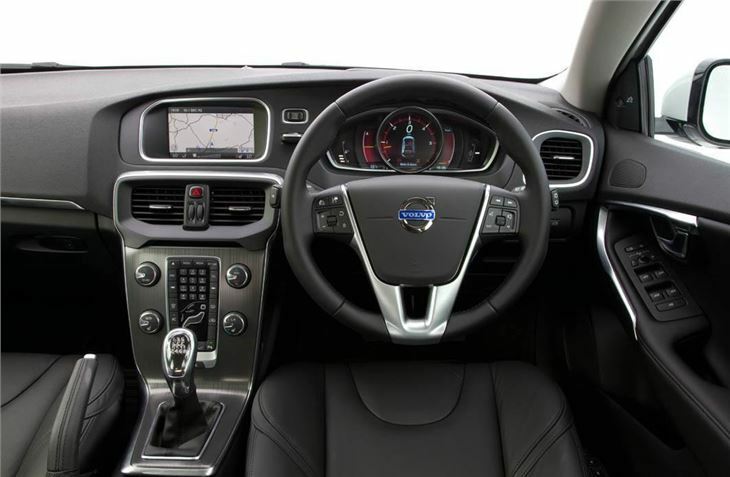 Other quality touches include the superbly comfortable seats, always a Volvo strong point, but they are now much more supportive than previously and feel nicely sculpted around you. The V40 also comes with Bluetooth as standard on all models which not only lets you make phone calls on the move but lets you stream music. It's very easy to set up on an iPhone and works really well. 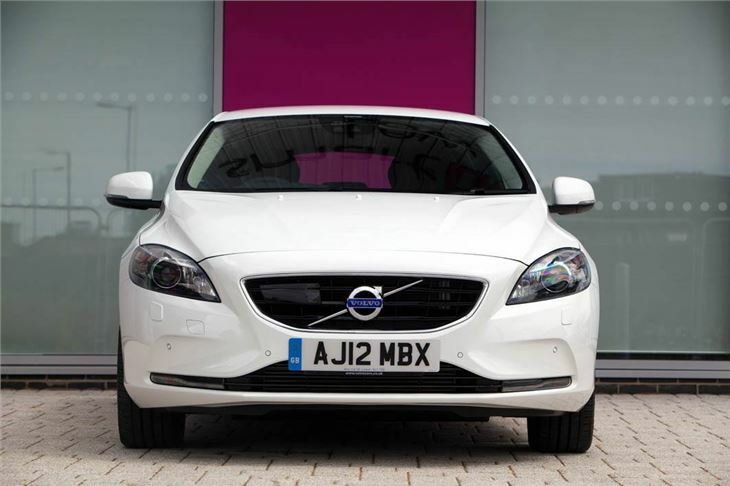 The V40 continues to impress from behind the wheel. It's incredibly comfortable with a smooth and relaxed ride while even when fitted with larger wheels with lower profile tyres it remains forgiving. 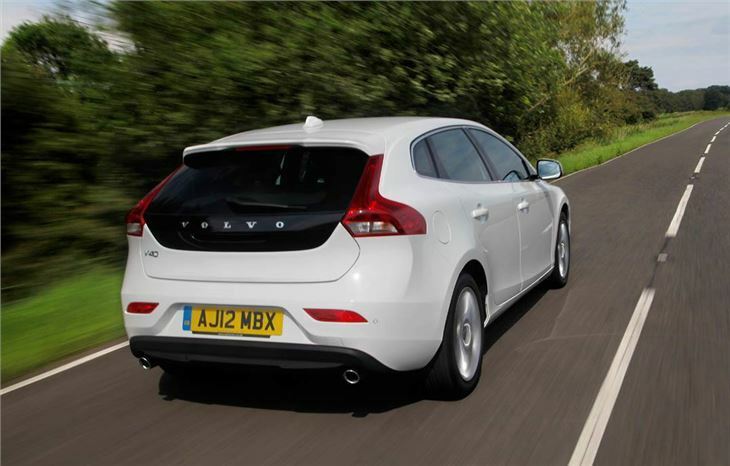 The suspension of the V40 was developed on British B-roads and it shows. Refinement is a real strong point and even at higher speeds there's minimal wind or engine noise, making this a great car for the motorway where it feels like a much larger car. 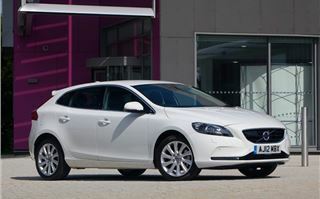 The handling is safe and composed so although the new electromechanical steering feels quite artificial and light, the V40 still corners well with good front end grip and limited body roll. It feels as stable and as safe as you expect a Volvo too. It's not as involving to drive as a 1 Series but it's a good match for the new A3. It's further helped by a torque vectoring system that brakes the inner wheel in corners to aid handling. 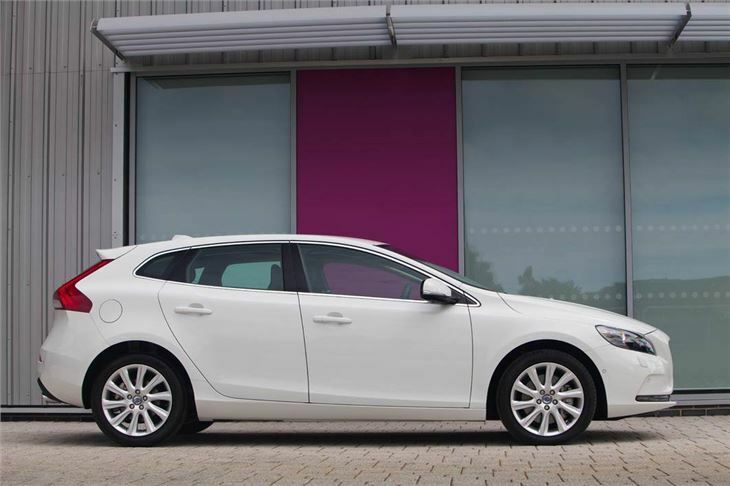 The standard V40 comes with a 'dynamic' chassis, but a 'sports' chassis is also available which lowers the ride height by 10mm and gets firmer springs and dampers. It's also incredibly efficient, in particular the D2 model. This is a 1.6-litre diesel that comes with a six-speed manual gearbox. It produces 115PS along with an impressive 270Nm of torque which means decent in-gear pulling power. It's not the quickest of engines, but once up to speed it will happily keep up with traffic and that torque means overtaking is pretty straightforward. But the real talking point of the D2 is emissions. On the standard 205 profile tyres it emits just 94g/km with a claimed average economy figure of 74.3mpg. This is no eco special DRIVe model either, merely the standard D2. It means that you don't have to pay annual VED and it's also exempt from the central London congestion charge. No surprise then that Volvo expects the D2 to make up three out of every five V40s sold. The other diesels are the D3 and D4, both 2.0-litre five-cylinder engines with 150PS and 177PS respectively. They are available with a six-speed automatic, although this does have a significantly adverse effect on economy. Choosing the Geartronic over the manual sees the claimed economy of both the D3 and D4 drop from 65.7mpg to 54.3mpg while emissions increase from 114g/km to 136g/km. Two petrols are available, the T3 and T4 which are both 1.6-litre turbocharged petrols with 150PS and 180PS. A top of the range T5 is due later in 2012 and is expected to have 254PS with an automatic gearbox as standard. 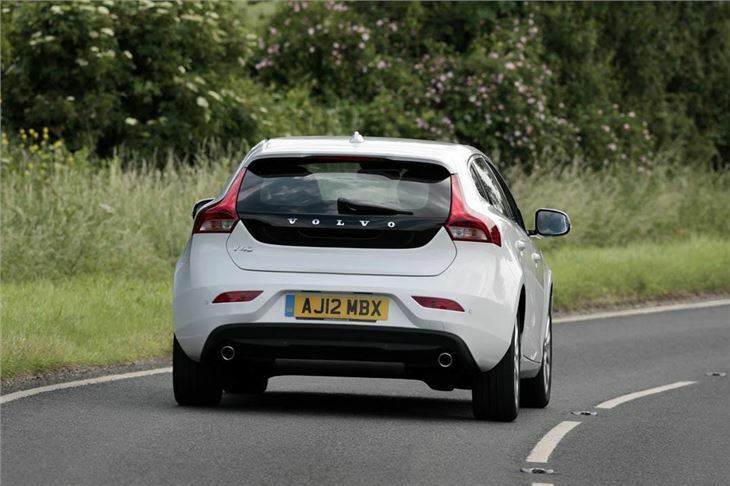 Safety has always been a big Volvo strength and the V40 continues this. It's packed with safety features as standard including an improved version of the clever City Safety system. This uses a laser which monitors traffic ahead of the vehicle and will automatically brake to avoid a collision or at least reduce the severity. It now works up to 31mph rather than 19mph previously and has been proven to reduce collisions by 20%. The V40 gets a new pedestrian airbag which works between 12 and 31 mph. 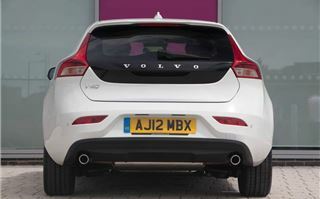 If the car detects contact with a pedestrian it releases the rear end of the bonnet and deploys an airbag which covers the area under the raised bonnet plus a third of the windscreen area and the lower part of the a-pillars. Other features include a Cross Traffic Alert radar system which helps you reverse out of a parking space and see traffic coming from the side plus an improved Blind Spot Information System (BLIS). 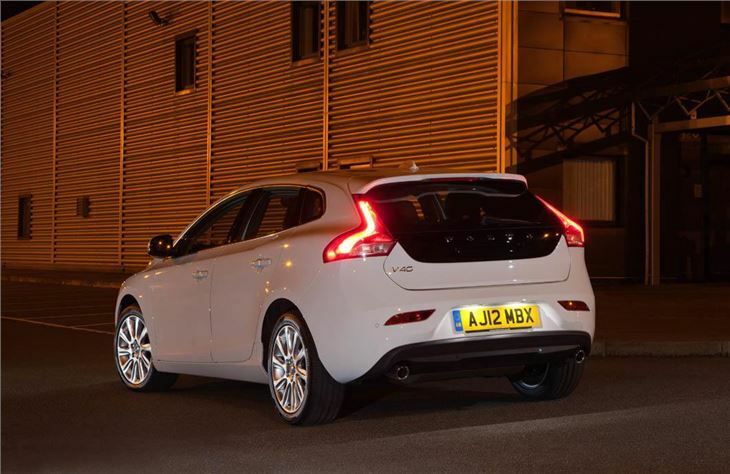 The V40 certainly has plenty going for it and will definitely appeal to people wanting a high quality hatch with a luxury feel. 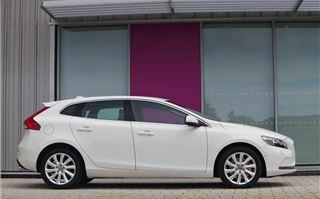 It may not be as sporty as a BMW 1 Series or have the image of an Audi A3 but it manages to offer a blend of refinement and elegance that's different from what is currently offered by rival brands. Stylish, well equipped and refined it's also an ideal choice for people who are downsizing from a larger car yet still want a touch of class.